Wherever you live in California, your county probably doesn’t fit you. In mountainous and rural areas, your county may be too small to do the big things you need; 24 of the 58 California counties have populations under 140,000, the number of people who live in my hometown of Pasadena. Yet in inland exurbs, your county is so sprawling that it can take more than three hours to get to the county seat; San Bernardino County is twice as big as the state of Massachusetts. And in the big metropolitan regions where most of us live, counties—¬¬which are supposed to be the state’s form of regional government—divide up our communities, instead of uniting us. The Bay Area is sliced up between nine counties, from Santa Clara to Sonoma. The capital region around Sacramento includes six different counties. 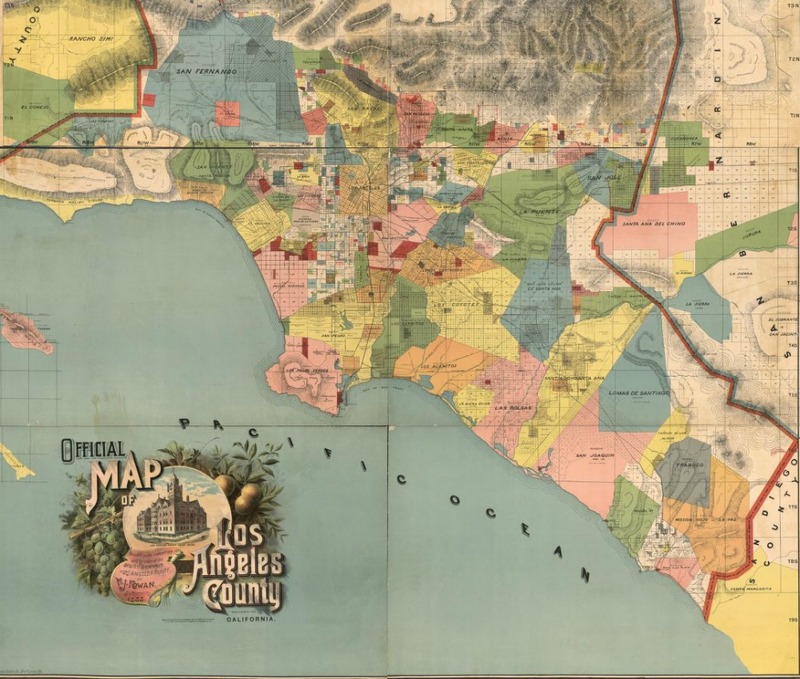 Greater Los Angeles is a mash-up of five counties, with no clear geographic divides between them. I dare you to drive through four neighboring cities in four different counties—Yorba Linda in Orange, Chino in San Bernardino, Corona in Riverside, and Diamond Bar in Los Angeles—and tell me when you cross from one county to another. Even beyond the biggest cities, counties divide California: The growing agriculture-infused Fresno region has four different counties, and the Central Coast spans six. As a result, Californians routinely live in one county, work in another, and play in a third. It has become commonplace in California to complain that our state is simply too big to work effectively as one entity, and to suggest, via ballot initiative (as in venture capitalist Tim Draper’s “Six Californias” scheme) or petition to the legislature (as the North State counties are doing) that we be split up into a number of different states. And some of these splitters’ complaints have merit. But creating new states would require Congress to go along, making these ideas non-starters. Instead, we could redesign our counties all by ourselves, without Washington’s help. And, as the former Ventura mayor and San Diego planning director Bill Fulton has pointed out, counties are easier to reform because they are essentially administrative regions that are imposed on us—and thus don’t stir emotions like cities, which we choose to form. The heart of the problem is that California’s antiquated design, with its 58 haphazardly drawn counties, doesn’t make sense today, if it ever did. The legislature created 27 counties back in 1850, and we kept adding counties until 1910, when California effectively froze county creation, locking in a map that has been unchanged by a century’s worth of growth. Indeed, the way that our counties divide us up is part of a larger fragmentation in California, where the problem is not big government but so many small and stupid governments—more than 6,000 in total, with 480 cities and thousands of special districts that few Californians know anything about. This fragmentation of regions is not merely a problem of having untidy maps that make little sense to the people who live on them. Research shows that regions that are split up among many governments—as California’s are—have less affordable housing and more sprawl, congestion, racial and economic segregation, and disparities in local services than those with more consolidated regional governance. The good news is that, in recent years, there has been more thinking in California about how to remake local government, including the size, boundaries, and powers of counties. Some of the best of this thinking can be found in retired Silicon Valley executive Thom Bryant’s short book, California 2.0. California 2.0 shows that our lives, and many of our biggest problems, are regional: environmental systems, infrastructure, economic development, transit, and housing. And the book points out that the state already divides us into regions for certain ways of collecting data or governing; California has 10 biodiversity regions, nine water regions, 15 air basins. But our counties don’t match up with these regions. So California 2.0 argues for dividing up the state into counties that each represent one region. There would be 19 in the author’s ideal structure, though California 2.0 suggests that even the old Spanish military’s 10 territorial districts would fit California better than today’s 58 counties. If California were to embrace regionally consolidated government, it would be following a trend. France has been consolidating and empowering regions. The Twin Cities region in Minnesota and greater Portland in Oregon have strong regional structures, and some metropolitan regions, notably Toronto, have consolidated local governments. Such regional counties would need more power to devise regional solutions to the state’s most pressing problems: schools, traffic, and housing. And, as California 2.0 argues, they’d need expanded boards of supervisors (California counties today typically have only five supervisors) and elected county executives to improve democratic accountability. And if California politicians want to make real progress in their one-state war on climate change, they’ll need to embrace truly regional counties. Today’s state regulations on climate are unlikely to show much in results, in part because they require coordination between our fragmented local governments. But if we had counties that actually fit our regions, California might have a fighting chance of saving the world.